There are some competitions that you love more than others, both for the issues involved, the enthousiasm during the preparation, the people in the team, and the final outputs. 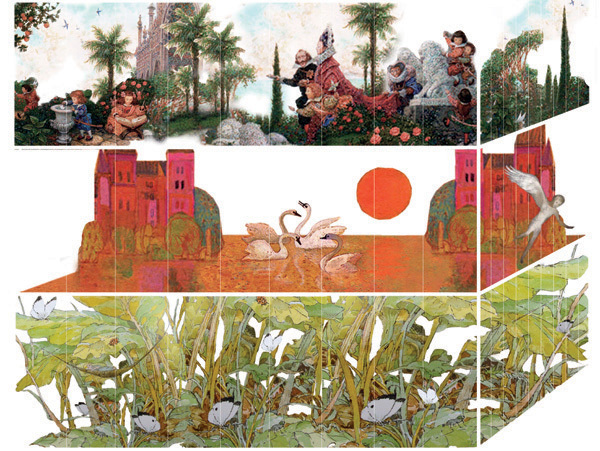 The House of Fairy Tales Competition for redesigning the Odense Museum dedicated to Hans Christian Andersen was one of these special competitions. We loved it so much, that we delivered two different projects with two different teams! 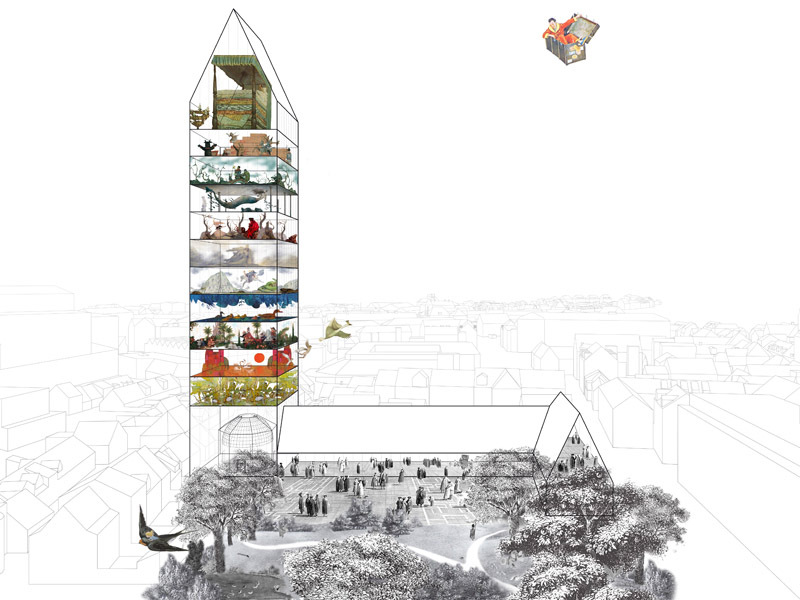 One of the two, Superfly, a simple yet radical gesture to solve the site problems, and the museum programming, a kind of a house flying over the city of Odense, a landmark growing over the place where Andersen lived and has been celebrated, opening towards this garden with its public and open side, and pointing towards the sky with the immersive and intimate part. 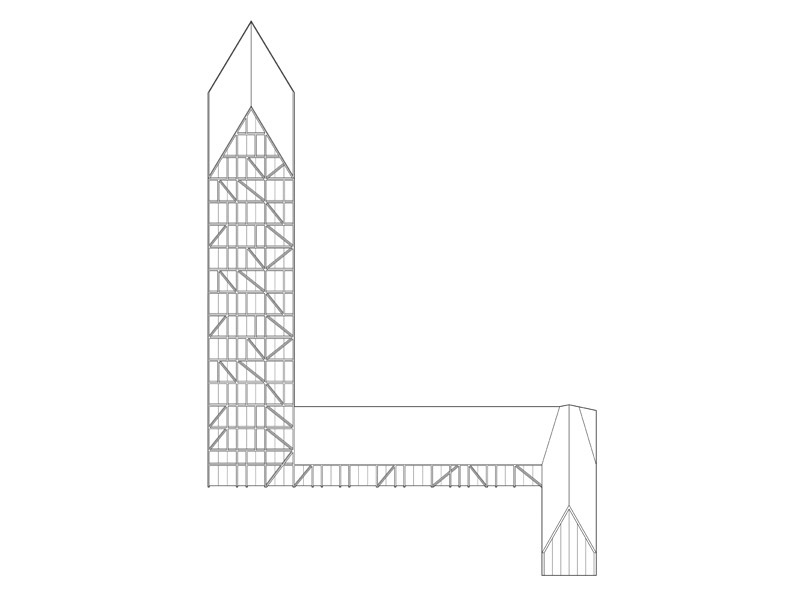 The tower was intended to be a sequence of surprises, totally different worlds and horizons. 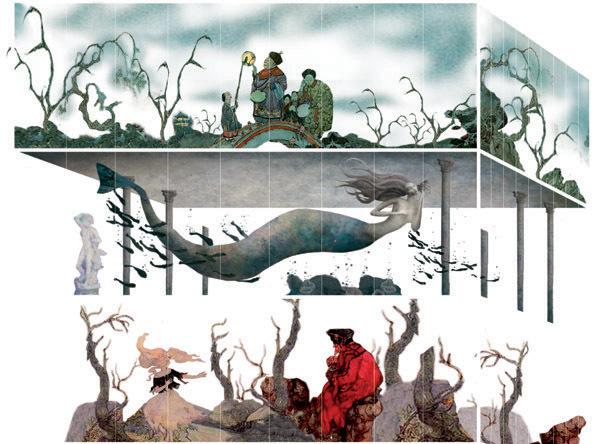 Each floor was a tale, or a group of tales that share the same world, an environment assigned to a different artist, that will reintrepret Andersen’s tales following his/her poetics. 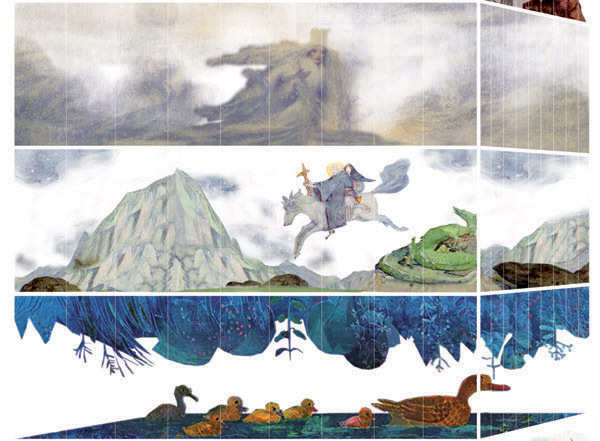 Periodically, the museum could have changed in rotation one of the environments, inviting a new artist to interpret a tale, or a theme of the Andersen’s work. Soon the second loser, with the complete design on www.ma0.it. ma0 proposal in the Expost section of Innesti-Grafting, the Italian Pavilion curated by Cino Zucchi at the 14th Venice Architecture Biennale, opening tomorrow Friday 6th at 12.00 at the Arsenale. The cities of the Far West, as we have seen at the movies, a series of buildings along the main street, where you will find everything: the shop, the saloon, the barber, the sheriff’s office. But then, after a few steps in a sidestreet, the space of the prairie and the pioneers, with the bushes dragged by the wind. 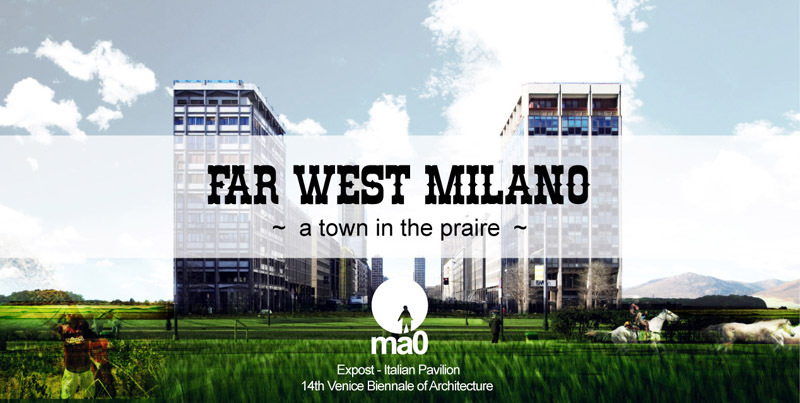 Far West Milano is the union of two analogues worlds: a linear city and 52 acres of theme parks and hybrid productive activities, mixing advanced agriculture and new technologies. Two modes of development that confront and feed on each other: the city of a molar and speculative development alongside a territory molecularly modified by the pioneers of the economies of the future.